The German original, as known from the famous Oktoberfest in Munich. 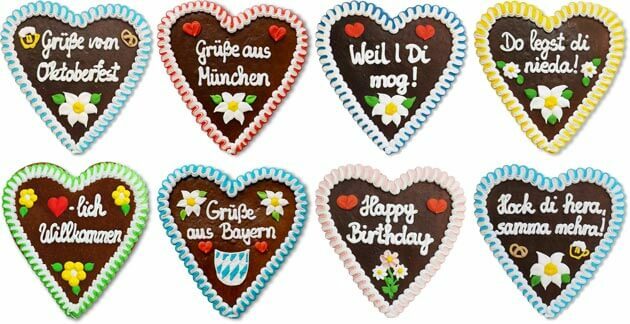 Traditionally for Oktoberfest gingerbread hearts is a must. Order now your 21cm (approx. 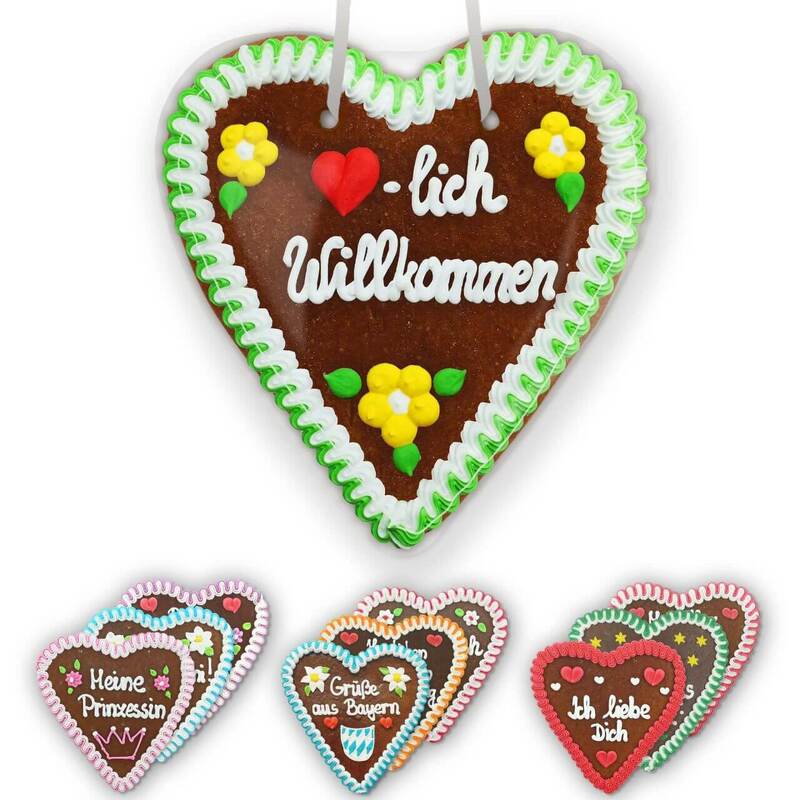 8,25 in) Lebkuchen heart with different slogans, colors and sugar decorations . Each heart is baked with love - every writing and decoration is applied by hand. 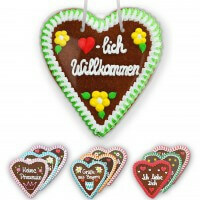 Please note that the border colors and sugar decorations are mixed and may differ from the illustrated hearts. The heart is shrink wrapped and comes with a neck strap. 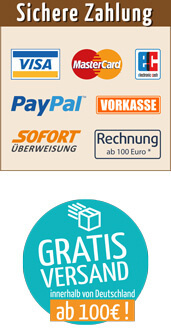 Discounted prices: The discount refers to the total purchase quantity of all the sayings of this size in the shopping basket.